Alternate Current Radio Presents: Boiler Room - Uninterruptible Talk Radio - Welcome to the Social Rejects Club round table. Say goodbye to political correctness, NPCs beware, propagandist mass media cartel take cover! 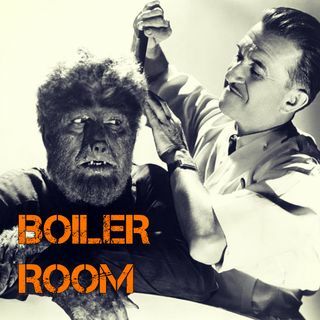 Boiler Room is back with Hesher, Spore, Daniel Spaulding, Randy J, Fvnk$oul and Infidel Pharaoh to take on the Culture War for the first show of 2019. Tonight the Boiler Room discusses the absurd notion that a scheduled "women's march" was postponed in the far ... See More Northern California town of Eureka because the county was deemed "too white" to represent the image of the women's march. The conversation dovetails into Women taking over the CEO positions in the Military Industrial Complex top 4 contractors and in frontline combat roles. The Boiler gang looks ahead to trends and predictions for 2019 and a brief look back at the top conspiracies of 2018 via our colleagues at 21WIRE. China lands on the far side of the moon? Hackers steal 9/11 documents and ransom the data? Will Trump and Kim find a road to peace in Korea in 2019? Will Jim Webb be the new Secretary of State? All this and more in this meeting of the Alternate Current Radio Brain Trust. Hesher bro, you are killing it.